When I first received this book my initial thought was “how on earth can there be 260-ish pages on what was, with all due respect, an average staying chaser who ‘luckily’ won the greatest handicap chase on the planet?! When I finished the book I was in NO DOUBT how there could be 260-ish pages on what was, with all due respect, an average staying chaser who ‘luckily’ won the greatest handicap chase on the planet!! Author David Owen digs deep into the career and life of not only Foinavon but he also delves into the lives of the people that were directly and indirectly involved with the racehorse, from the time when he was a foal in his native Ireland and his early racing days right through to his memorable victory at Aintree and the ‘celebrity status’ that followed his famous 100-1 victory. This book has been methodically researched and stylishly written and gives the reader a much deeper understanding of Foinavon, I certainly came away with a vastly different opinion of this ‘lucky’ Grand National winner. There is no padding and no fillers in this book and it flows in a very easy to read fashio; I certainly found it hard, if not impossible, to put down. The facts are if you like horse racing you will LOVE this book. If you like National Hunt racing you will LOVE this book. If you like the Aintree Grand National you will ADORE this book! To be honest even if you only have a passing interest in horse racing you will be hard pressed to put this book down. It really grabs hold of you and transports you back to a time when every National was potentially ‘the last ever National’ whilst all the time filling you full of, perhaps surprising details, of one of the National’s greatest heroes; FOINAVON. I have no hesitation in giving this the NTF seal of approval and a big 10 out of 10. 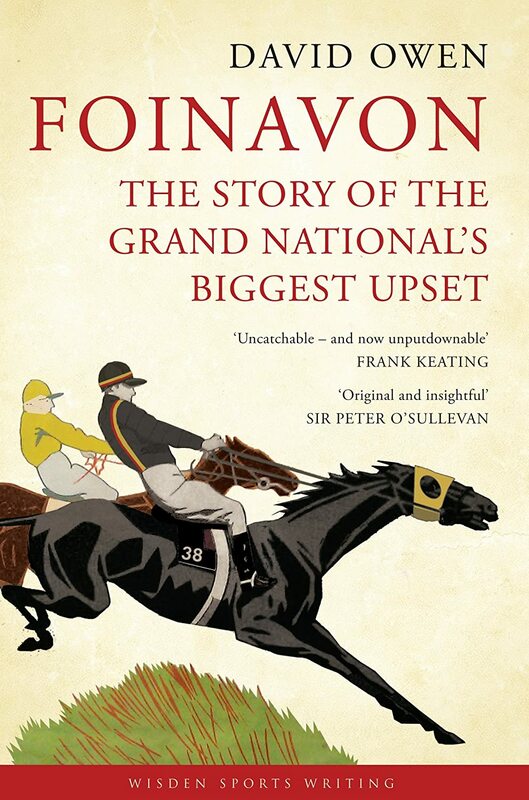 You can purchase ‘Foinavon – The Story of the Grand National’s Biggest Upset‘ here >> Buy FOINAVON today. David Owen is a former sports editor of the Financial Times, covering scores of major sports events around the world for the FT and other publications in a career spanning three decades.